IAAF Council member David Okeyo was banned from track and field for life Thursday for his role in diverting hundreds of thousands of dollars of sponsorship money from Nike for his and others’ personal use. Okeyo, who was also secretary general and a vice president of Kenya’s track federation, was found guilty of skimming off the money given to the federation by Nike from as far back as 2004. He was suspended in 2015 and the three-year case was decided at a hearing in Nairobi, Kenya, in January and February. He was also formally expelled as an IAAF Council member. The decision was announced by the IAAF ethics board. Okeyo was found guilty of breaching the IAAF’s ethics code on 10 occasions and “over a long period of time,” the ethics panel said in its written decision. The IAAF ethics panel said evidence indicated that 16 payments totaling a little over $1.2 million between 2004 and 2012 were made from AK’s accounts to a separate account, which Okeyo and two other senior AK officials had access to and withdrew cash sums from. Okeyo wasn’t found guilty of siphoning off all of that money, with investigators unable to get compelling evidence of wrongdoing on some. But large sums of the money were taken “for his own direct or indirect personal benefit” and not for AK business, the panel concluded. 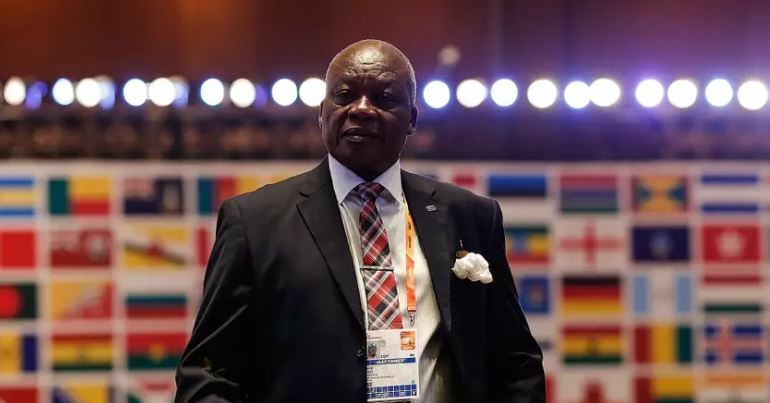 The other two officials, who were also charged by the IAAF, were Athletics Kenya president and former IAAF Council member Isaiah Kiplagat, and former AK treasurer Joseph Kinyua. Kiplagat died in 2016. Kinyua was also found to have “engaged in similar conduct” to Okeyo by diverting money meant for Athletics Kenya to the “clearance account” which the men drew from. But he was not bound by the IAAF ethics code at the time and escaped punishment. In addition to the life ban, Okeyo was fined $50,000, which he was ordered to pay to AK. He was ordered to pay another $100,000 in legal costs to the IAAF. Okeyo has also been charged separately with extorting money from athletes. The IAAF hasn’t published its findings on that charge.